If you want the event to be accompanied with a video, you can set up the streaming to be scheduled. 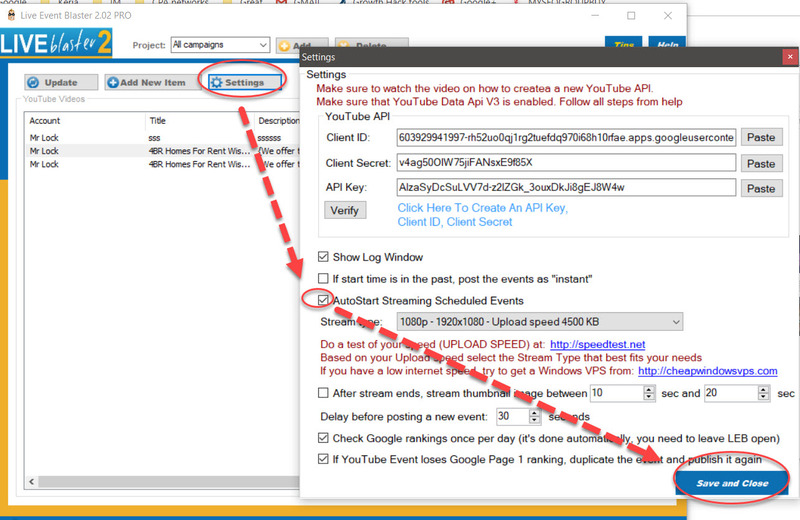 This can be done by clicking on the "Settings" in Live Event Blaster 2 and tick on the "Autostart Streaming Scheduled Events". Choose the video you want to be streamed by right-click on the event/s and choose "Edit Item". 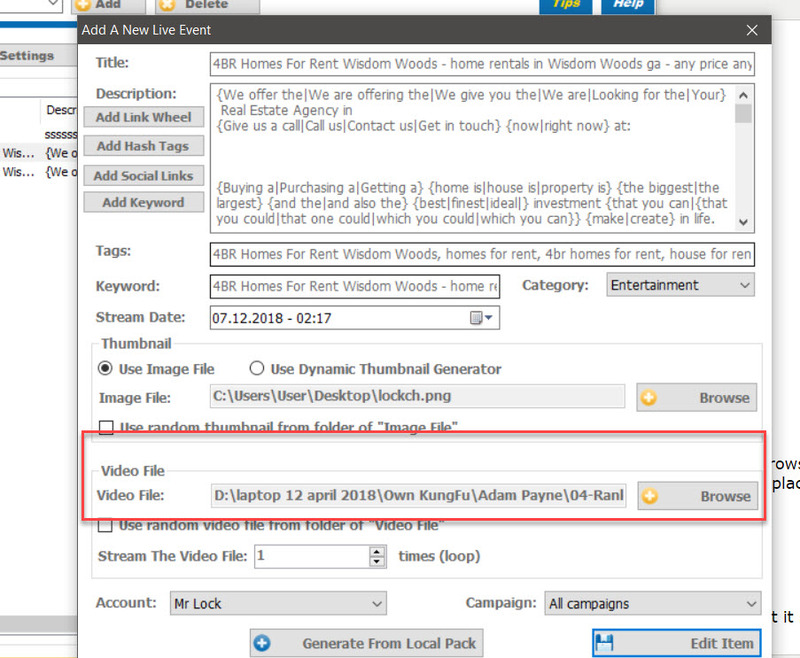 Under "Video File" - click on "Browse" button and point to the video file you want to stream for this particular event. If no video is chosen, the streaming will not take place at all. Related articles Can I use Lingo Blaster with Live Event Blaster ? How to create variations of my affiliate links on my YT descriptions automatically in order not to be flagged by youtube?